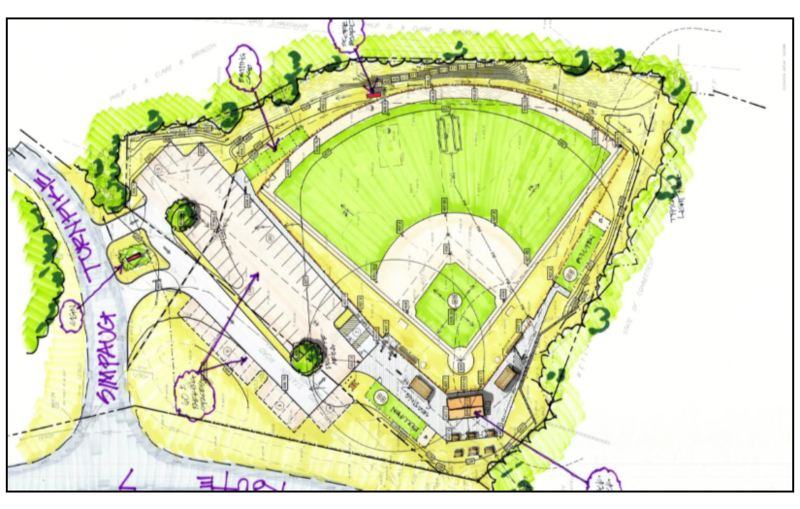 RIDGEFIELD LITTLE LEAGUE (RLL) has embarked on a capital campaign to raise funds for the construction and maintenance of a new baseball facility in South Ridgefield conveniently situated off of Route 7. Equipped with LED lights, announcers’ booth, and plenty of parking, this much needed state-of-the-art facility will be the pride of the Ridgefield Little League program, allowing baseball to remain competitive with other sports in town and comparable with baseball facilities in neighboring communities. RLL is committed to giving each player the best baseball experience possible. This facility will keep Ridgefield Little League relevant and attractive to players for years to come. The Town of Ridgefield has provided the location in conjunction with the State of Connecticut along with a 25-year lease. Questions about the New Ball Field or the Campaign for Tomorrow's Players? Please contact us at . Buy a Brick for the New Ball Field! Click here for a list of FAQs related to this project. Click here to donate to the Campaign for Tomorrow's Players Fund!